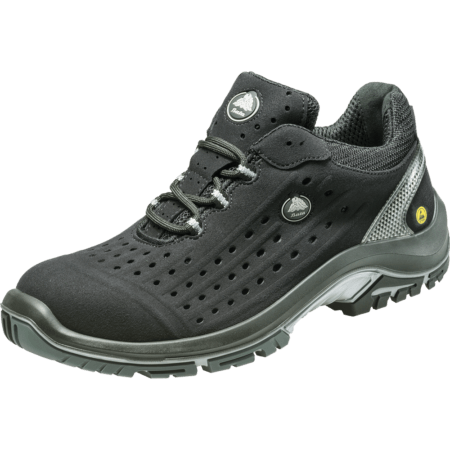 Sync are S1P safety shoes with an SRC sole. 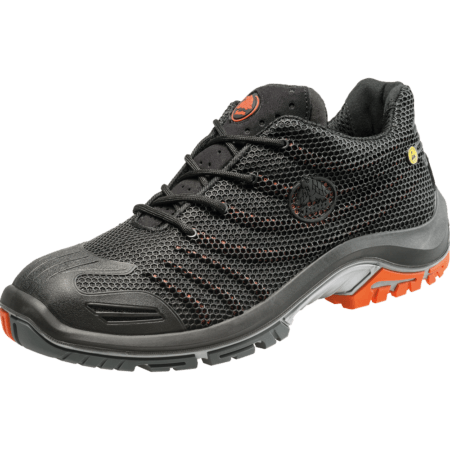 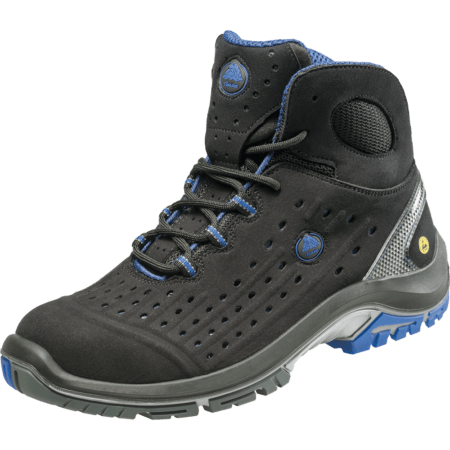 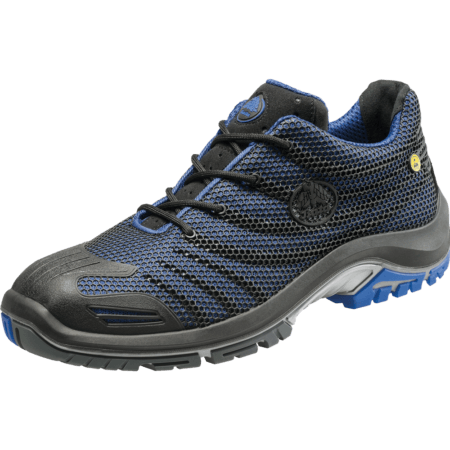 These high black safety shoes with blue elements are lightweight with a microfiber upper. 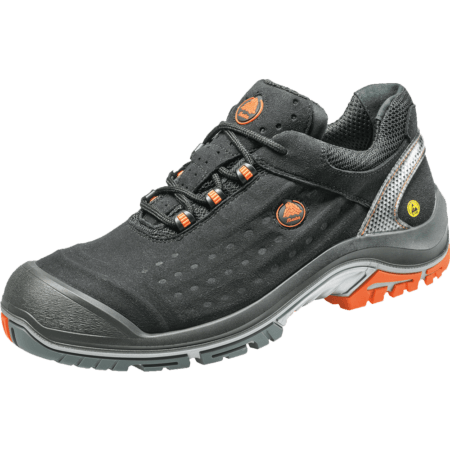 These S1P safety shoes have Bata Cool Comfort® Lining, which will help you with temperature and moisture management of the foot. 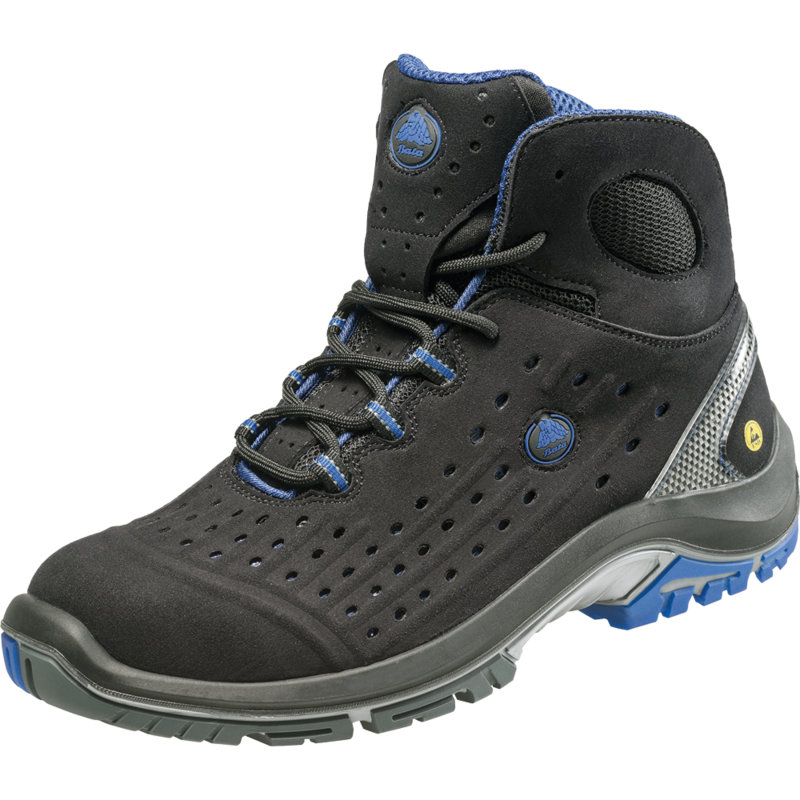 The Sync safety shoes are ESD and have excellent grip (SRC certified).